Wreckless Intent 9-30-2018 – Radio for the People, by the People. Well yippee ka-ya motherfuckers!!! It’s time to get Wreckless!!! 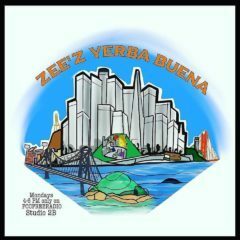 Mike Glendinning and Zee holding down the fort tonight here in Studio2B!!! Jay Austin Graham will have the night off. We’ve got Bill Cosby, Mike Pence and Brett Kavanaugh on the grill for tonights show!!! How do we feel about these topics? You’ll have to tune in to find out!!! Check out Wreckless Intent live from 6-8PM in Studio2B right after Underground Mayhem Podcast hosted by Mike Glendinning!!! Only here at FCCFREERADIO.COM!!! Also look for us on iTunes!! !